© 2011 pete. All rights reserved. 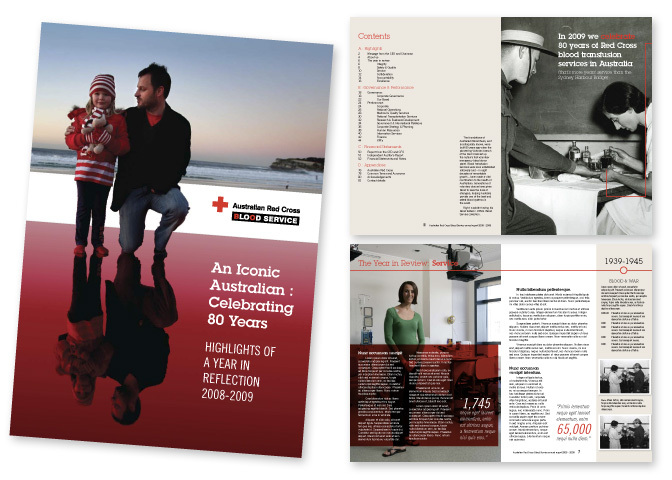 We have developed a theme and style for the Blood Service’s report this year, and are providing a complete package of writing, editing, design and print services. This year’s report features separately printed highlights and full versions of the report plus a special version available online for people with visual impairment. By: peteFiled under Print. Tagged annual report, Blood Service. Bookmark the permalink.